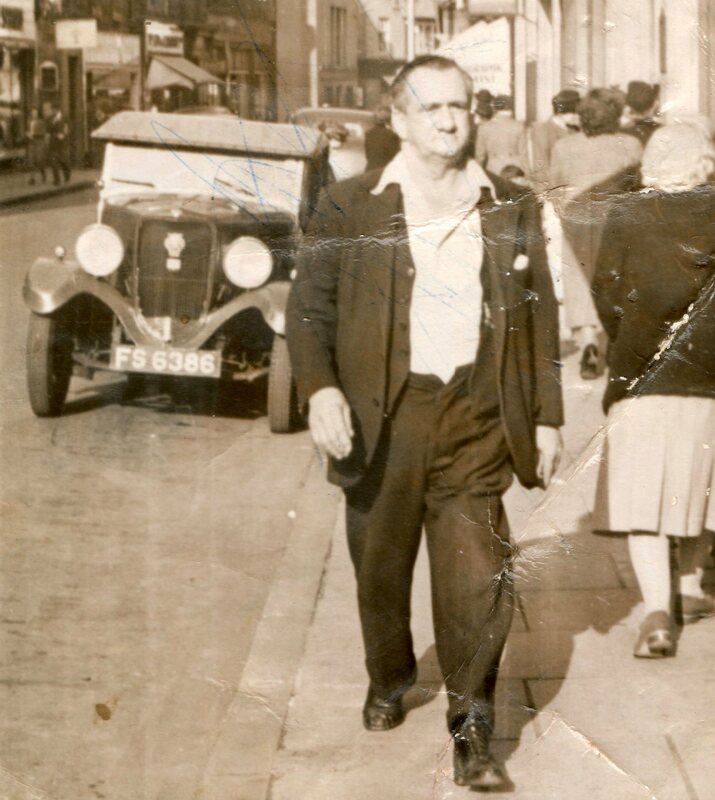 On the street: my great grandfather, Alexander Cruden. Kirkcaldy High Street, probably in the 1940s. Captured by an unknown photographer. 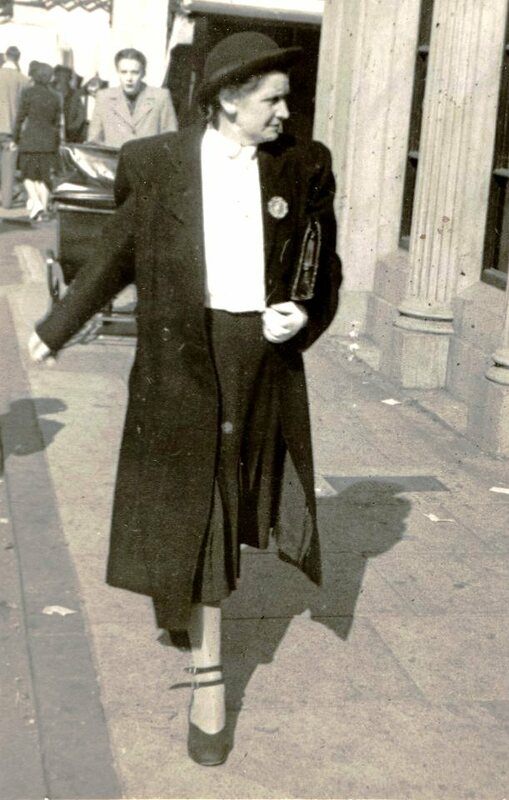 Growing up, I remember seeing quite a few photos from the 1940s and 50s of various relatives walking down the street. At the time I wondered about the mechanics of taking such photos. When I’m out with people, I hardly ever manage to get a photo of them walking towards me. If I think to take a shot at all, by the time I’ve organised it, they are ahead of me and I get their backs. It was only recently I realised (DOH!) that these images were taken by professional street photographers. They are interesting for all sorts of reasons. Because the photographer is a stranger, I think people behave differently. 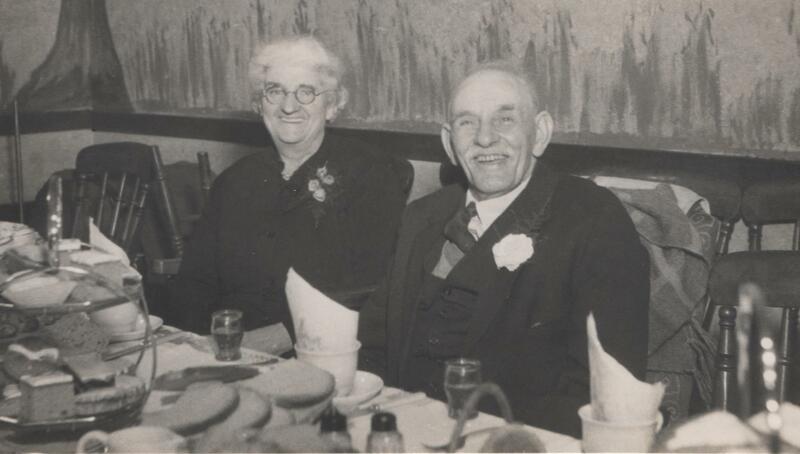 In the shot above of my great grandfather, he almost looks as if he is deliberately avoiding looking at the camera. 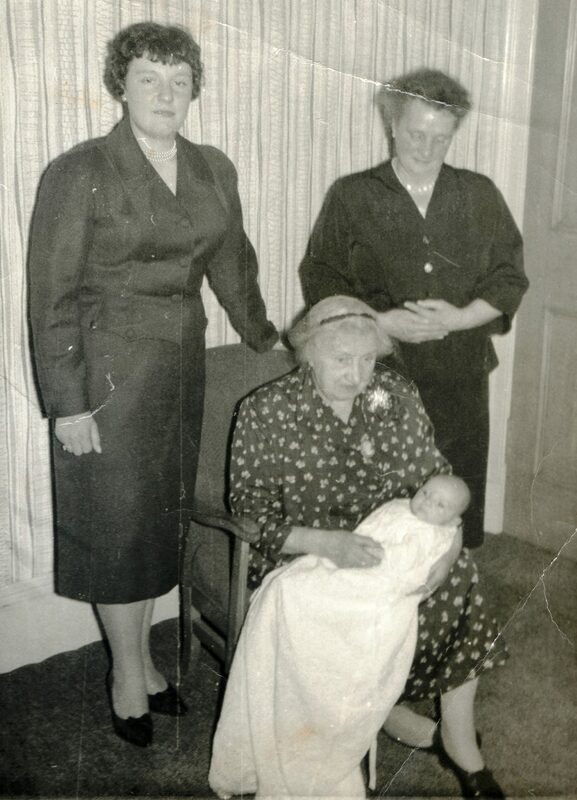 This shot below – of my grandmother Susan Elder – suggests even more firmly that she is averting her gaze. Susan Forbes Nicholson Elder. Kirkcaldy High Street. circa 1940s. Shot captured by an unknown street photographer. Street photography not only captures people fairly spontaneously, but in an environment that is not their own. They are out in public, wearing their public faces and giving very public performances.Many of us don’t like having our photo taken, so when it happens in public and can’t be avoided, we experience a moment of “slippage” where it can be difficult to maintain our public persona in the face of such intrusion into our private space. Street photography can also provide a wealth of period detail; we can often date the image by the cars and fashions, while buildings and landmarks provide locational clues. 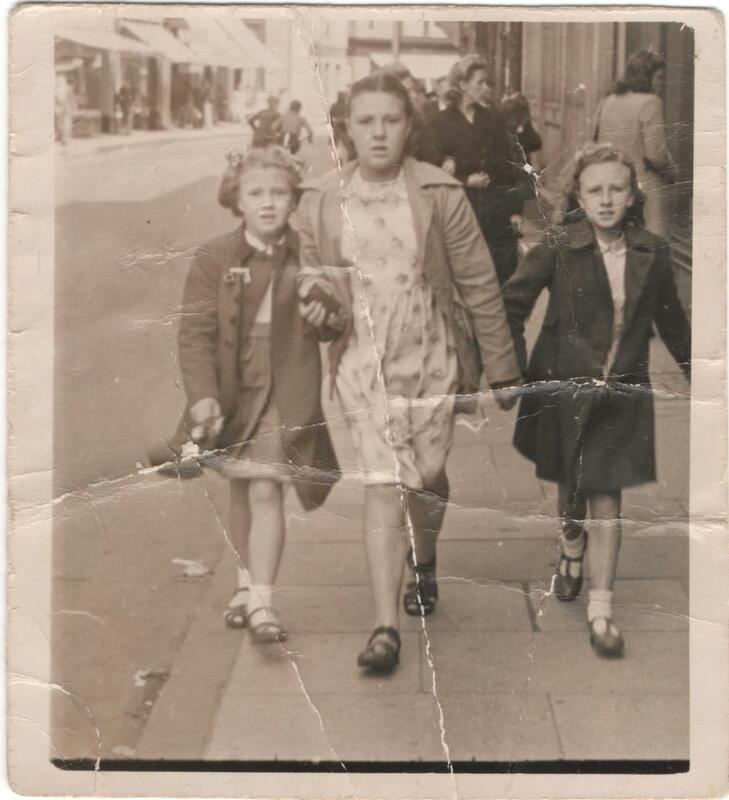 I like this shot of my mother with her sister and cousin rushing to get to the cinema on a Saturday afternoon. My mother, the eldest, looks grimly determined; the younger girls, slightly anxious and distressed. The movement inherent in their bodies contrasts with the women in the background, who seem to be taking a leisurely stroll around the shops. 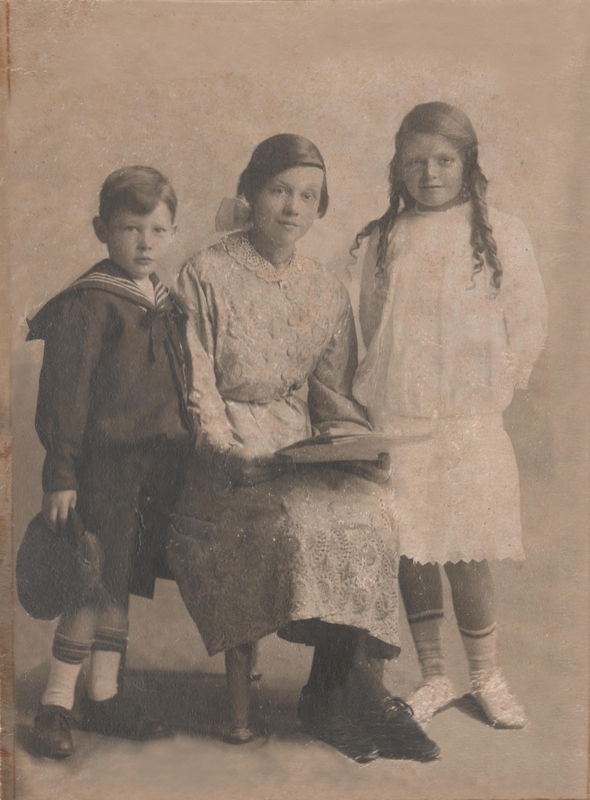 Elizabeth Ramsay (centre) with her younger sister Sandra (left) and cousin Margaret Cruden (right). Kirkcaldy High Street, probably late 1940’s. Captured by unknown street photographer. In this later shot, my mum and and other sister are more relaxed, smiling shyly for the photographer. The girls are dressed in summer clothing, in contrast to the older women behind them wrapped up in coats. 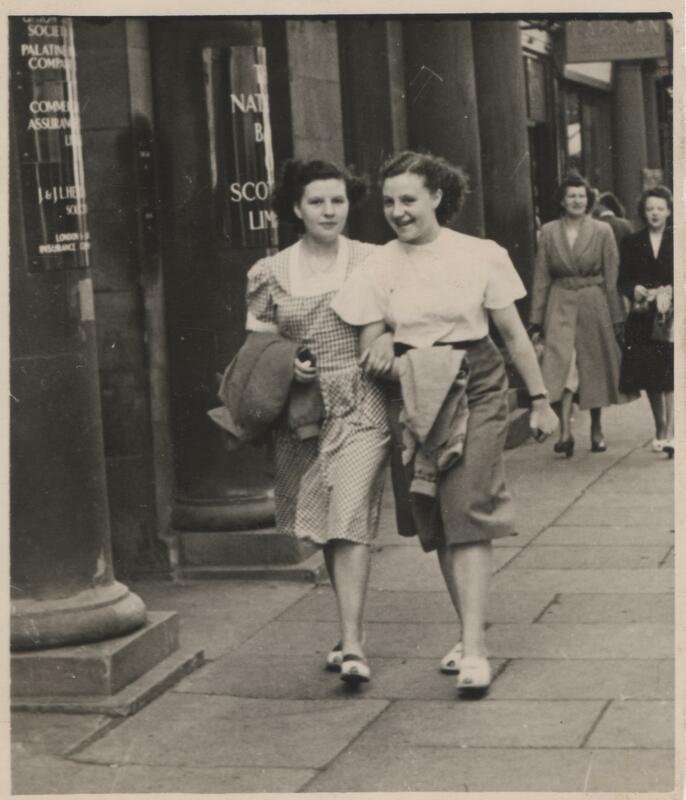 Margaret and Elizabeth Ramsay, Kirkcaldy High Street, probably early 1950s. Captured by unknown street photographer. The photo below is a mystery to me. 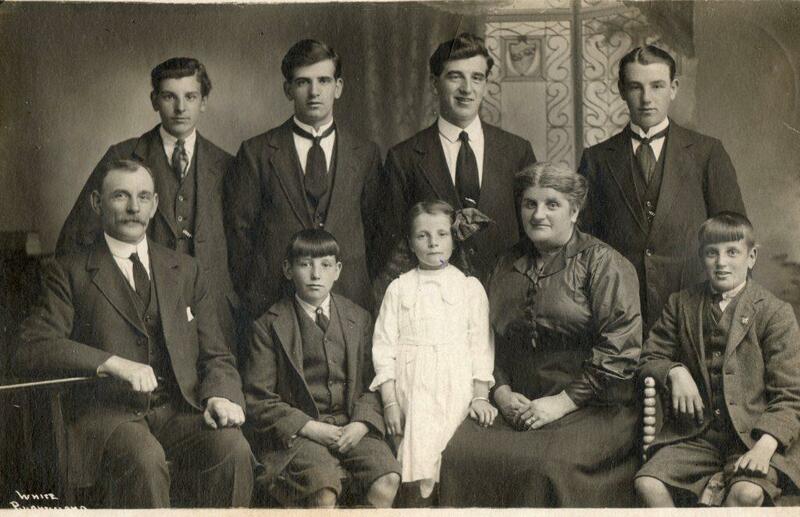 The young man on the right is my great grand uncle, Stewart Cameron Cruden (younger brother of my great grandfather, above). The older woman behind him is his mother Isabella Wallace. I have no idea who the other two people are, or when and where the photograph was taken. This is the only picture I have of my uncle, who died in 1942 aboard a ship serving in the Arctic Convoys, and I would love to know more about it. Sadly, I’m not sure there is anyone left to ask. 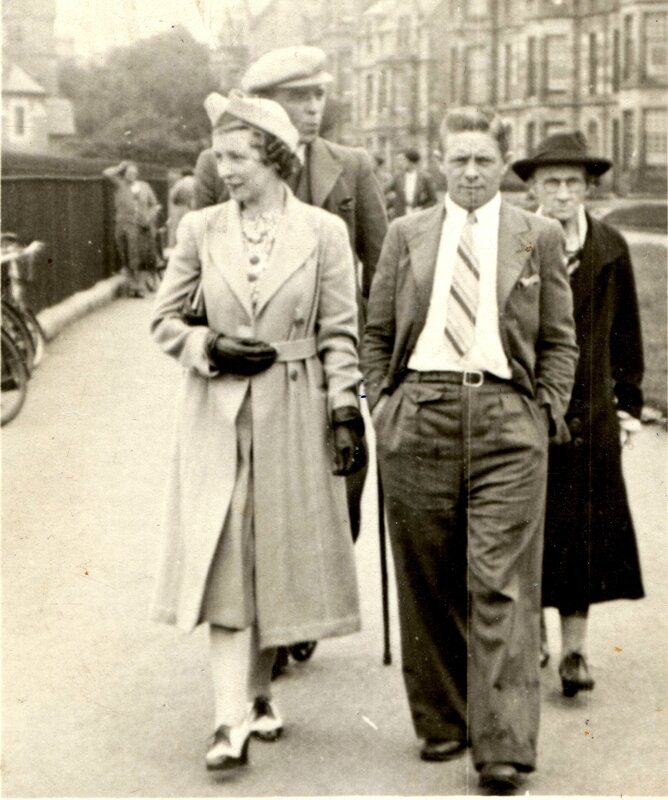 Strolling … Stewart Cruden and his mother with an unknown (to me) couple. Date, place and photographer unknown. My attempts at street photography are, as I’ve said, usually notable only for their dullness. 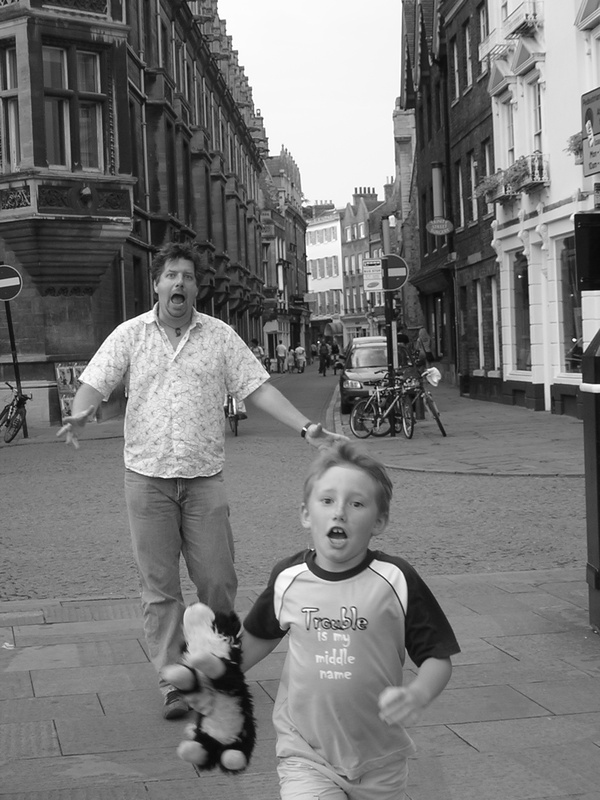 This one however, of the Big T and the boy-child while we were on holiday in England, does kinda make up for the others. The boy-child and the Big T, Cambridge, England. Reminds me of a shot from a 1950s monster movie. Photo: Su Leslie 2006. That our names are central to our sense of identity is clear – just ask anyone whose name is regularly mis-spelt or mis-pronounced. For many of us, our names were chosen to honour ancestors or other family members, and so a link to the past and to our kin becomes a element of our selves whether we like it or not. One of the things I’ve learned doing family history is that in Scotland, at least until the twentieth century, there existed a formalised pattern of naming children after relatives. Judy Strachan at Judy’s Family History has explained this clearly here, but essentially it meant that first sons were named after their paternal grandfather, first daughters after their maternal grandmother, second sons – maternal grandfather, second daughters, paternal grandmother. Third children were named after their parents, and after that it seemed to be a bit more of a free for all with the other names that floated around in the family. Children were only given middle names when the person they were named after had a different surname to theirs, in which case they usually got the person they were named after’s surname. This avoided people being given the same middle name as their surname or parents having to make something up. Of course, not everyone followed the pattern, and high infant mortality rates meant that sometimes names one might expect to find a family are missing – or alternatively, there are two children in a family who have been given the same name after the first died. I have “discovered” dead children by examining the birth order of great, great aunts and uncles and noticing that one was “missing” (On Chasing Ghosts). My feelings about these discoveries are always mixed; it’s difficult to enjoy the success of clever detective work when the result is a small child whose life ended only weeks or a few years after it began. As a cultural practice, the naming pattern seems to have largely died out – although even in my generation there are vestiges of it. And like many cultural practices, this one is both a gift and a curse for genealogists and family historians. On one hand it helps verify the likelihood that a person one is researching belongs to a particular family – on the other it can do the exact opposite as multiple cousins can often share the same name – because they share the same grandparent. 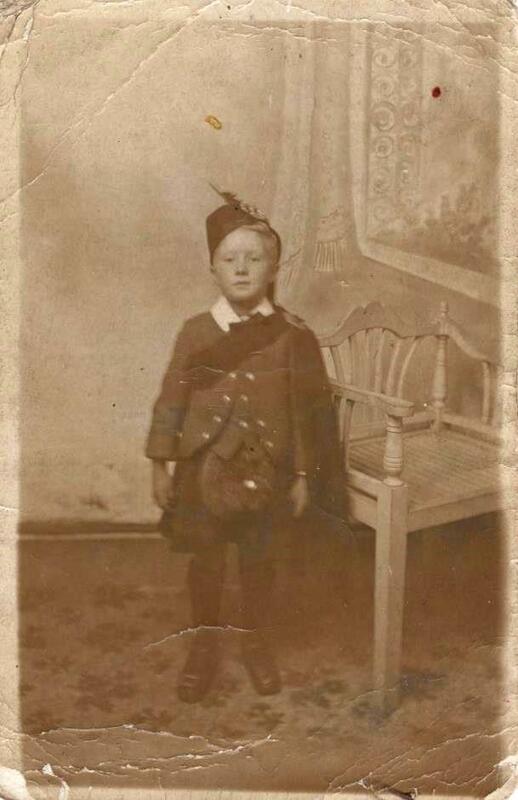 My great uncle, Stewart Cameron Cruden. Studio portrait c. 1915. Son of Alexander Cruden, grandson of Stewart Cameron Cruden, great grandson of another Alexander Cruden. In my family, I have found some branches adhered quite rigidly to the naming pattern over many generations. My Cruden family for example, contains a veritable muddle of Stewarts and Alexanders. 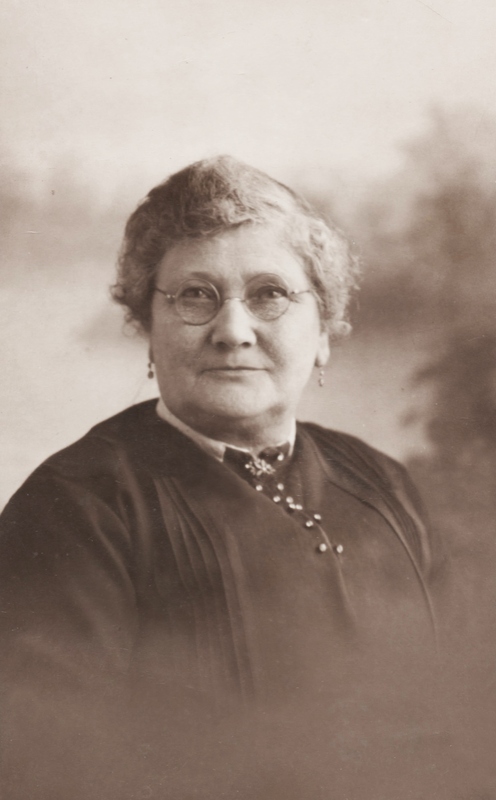 Similarly, my first name – Susan – appears four times (that I’ve been able to trace so far) in alternative generations of grandmothers – back to my 4x great grandmother, Susanna Fowls who was born in 1786. My mother, as the fourth daughter in her family was named after a great, great grandfather’s third wife, while my father – whose older brother was named after his father and paternal grandfather – seems to have had his first name chosen from outside the family (after a popular film star of the time perhaps?) He does however, have two middle names – one from each side of his family. In my generation, I’m named for my paternal grandmother, while each of my brothers was given a first name my parents liked and a family-related middle name. My only child was born before my obsession with family history, but even back then, I knew I wanted his name to locate him within both sides of the family. We agreed he’d have his father’s surname and that we wouldn’t lumber him with a name we didn’t like just for “family” reasons, but the boy-child has ended up with both first and middle names that have a very long pedigree in virtually every branch of my family. My recent research into my Elder family has thrown up a very long and virtually unbroken line of Thomas Elders – stretching back to the early years of the eighteenth century (and almost certainly beyond that). This is the farthest back I’ve traced any part of my family, and while I’ve come to a dead-end with the Elders, I have managed to trace the earliest Thomas’s wife back another generation – ironically to another Thomas. 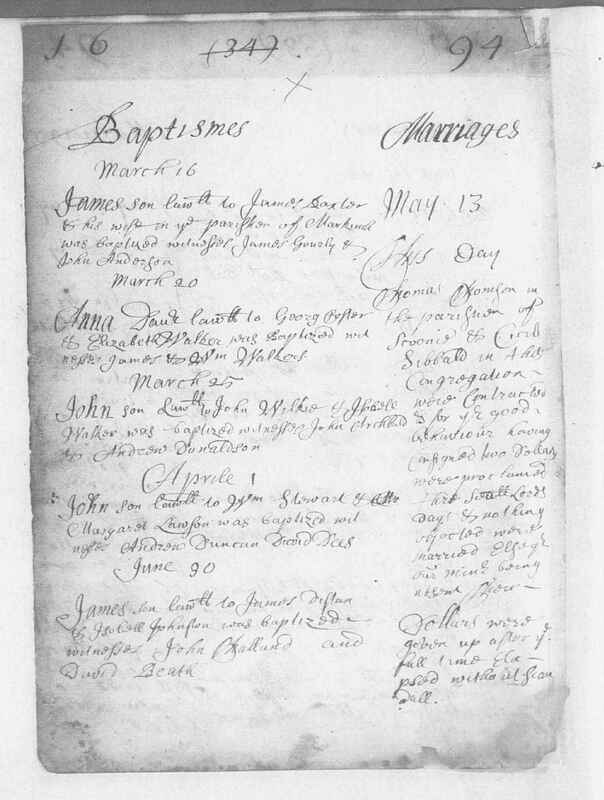 Marriage record, Thomas Thomson and Cecil Sibbald, 17 May 1694 in the parish of Kennoway, Fife. Source: Scotland’s People. 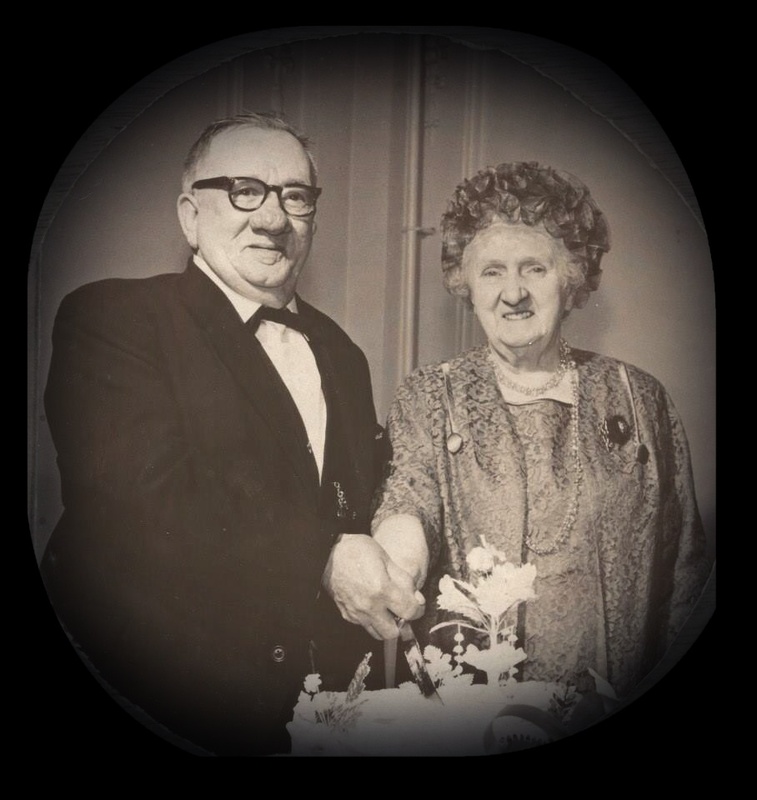 Thomas Thomson and Cecil Sibbald – my 7x great grandparents – were married on 13 May 1694, in Kennoway, Fife. To put that in perspective; in 1694 Scotland was still a sovereign nation – albeit one that shared a monarch with England. It wasn’t until 1707 that the Acts of Union were passed, combining Scotland and England (and Wales) into an entity called Great Britain. This was later changed to ‘The United Kingdom of Great Britain and Ireland’ – or the UK as we now call it. This year of course Scotland is having a referendum on whether to leave the UK. If this is successful, my son’s Scottish cousins may be the first generation of the family to marry within an independent Scotland since their 8x great grandparents 320 years ago. Our names are central to our identity. The Scottish practice of naming children for family members means that for many of us, part of our identity is our place in a long history of men and women who lived, worked, raised children, laughed, sang, told stories, and dreamed of a brighter future for their kids. Come the 18th September, I guess we’ll know. This post was written for the Daily Post Weekly Writing Challenge. The latest edition of the Fife Family History Society Journal arrived, and with it a chance to find out more about my Elder ancestors – a branch of the family I had – co-incidentally – been focusing on lately. A snippet in the journal indicated the existence of an article from 1864 about my 4x great grandparents Thomas Elder and Agnes Thomson. Thanks to the efficient and helpful Librarian at Kirkcaldy Galleries, I now have a copy of this article. Fifeshire Advertiser, 3 September 1864. 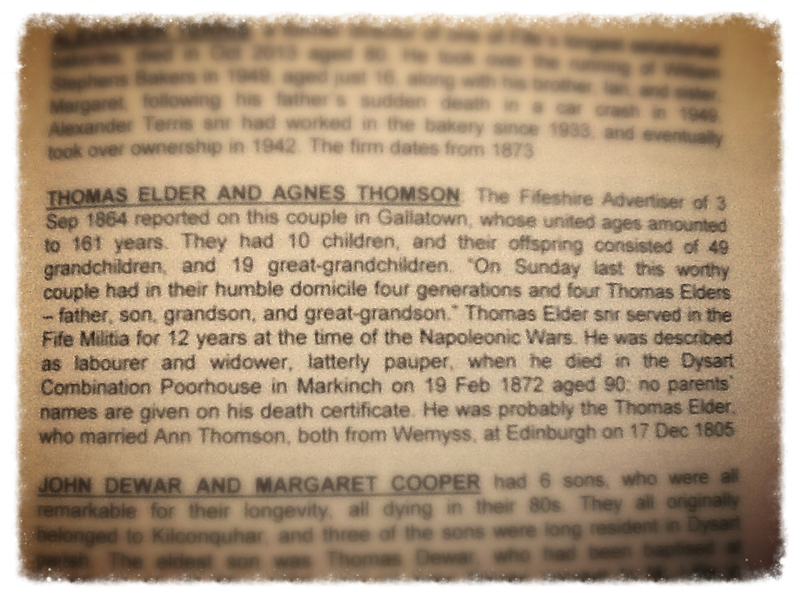 An article about my ancestors Thomas Elder and Agnes Thomson. Reproduced courtesy of Kirkcaldy Galleries. And it’s fascinating. Apart from revealing quite a lot about 19th century journalistic style (at least in local newspapers) — “On Sunday last this worthy couple had in their humble domicile …” — it confirms a few things I already knew about these ancestors and gives me a new line of research to follow up. The article suggests that Thomas Elder – who was born in Buckhaven, Fife on 22 November 1783 – served in the Napoleonic Wars. This is the first time I’ve had an indication of an ancestor involved in that very distant conflict, so it’s a whole new avenue of research for me. Thomas Elder’s birth record is one of the earliest I have. It shows him to be the “lawful son” of another Thomas Elder (this story has squillions of them – elder Elders, and younger Elders and … well, you’ll see) and Isobel Dryburgh. I know nothing about Thomas’s early life or military service, but I do know that he married Agnes Thomson, originally from Cults (also in Fife), 17 December 1805, in Buckhaven. Agnes seems have been the child of Thomas and Agnes Thomson, although I don’t have enough information yet to verify that. 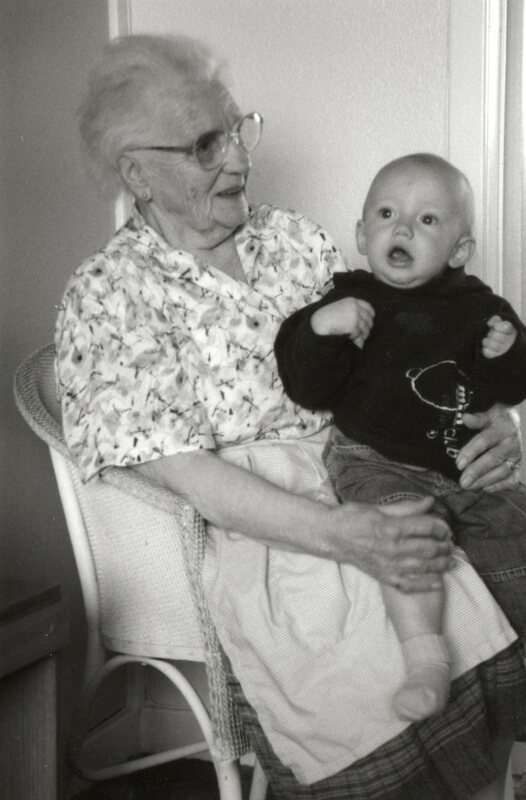 I know very little about my great x 4 grandparents, except that they had at least eight children. The first record of their lives is the 1841 census. It shows them living in Gallatown, Dysart, Fife with their three youngest children; Isabella, 15, John, 14 and Orr, 12. Thomas’s occupation was given as agricultural labourer. Gallatown is about six miles from Buckhaven, and in 1841 a large proportion of the population worked as handloom weavers. 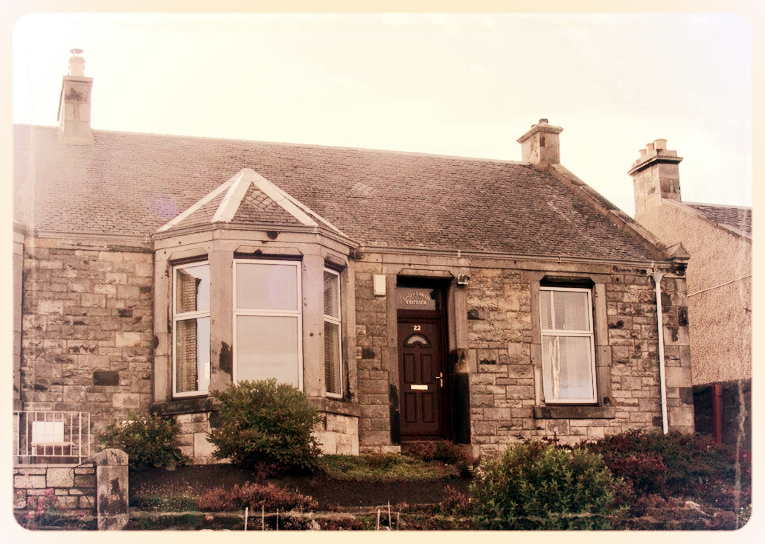 Also living in Gallatown at the same time were two of Thomas and Agnes’s sons – David and James, both with wives and young children. The 1851 census shows that Thomas’s household had shrunk to himself and his wife and his occupation had changed to carter. His older sons still lived nearby with their growing families. By the 1861 census, 78 year old Thomas was still working as a carter. At present this aged couple are in wonderful health considering their years, and may yet see another generation. Sadly, that wasn’t to be. It is clear that after Agnes’s death, Thomas left the Poorhouse; the 1871 census shows him living with his son (also Thomas) – and his son’s family – back in Dysart. I don’t yet know whether admission records for the Markinch Poorhouse have survived and whether they might tell me how this elderly couple – who seemed to have such a large family living close by – ended up dying in a Victorian institution that was designed to provide relief from destitution without ever letting those who needed it forget the prevailing ideology that it was all their own fault. It may be that the answer was simply widespread poverty. The younger Thomas, in whose home the elder was living in 1871, was himself 61 at the time of the census. He worked as a linen weaver, while his two adult daughters who also lived there, were described as factory workers. Not an affluent family, and one that could perhaps have been tipped into destitution of its own by sickness, loss of work or some other – perhaps minor – misfortune. So often in my search for understanding of my family I find events that make me incredibly sad. The death of small children is one such tragedy – residence in the Poorhouse is another.It seems that Thomas Elder fought for Britain over a 12 year period in his youth, raised a large family and continued to be a productve, working man until his old age. His death, and that of Agnes, makes me feel very sad. Death notice: Susan Forbes, April 1912. “American papers please copy.” I wonder why? A family member living in America – but I don’t know who? Notice from Fife Free Press. From the “Shorts” column of the latest Fife Family History Society Journal. The focus of my searching lately has been on the Elder branch of my family; my paternal grandmother’s line. 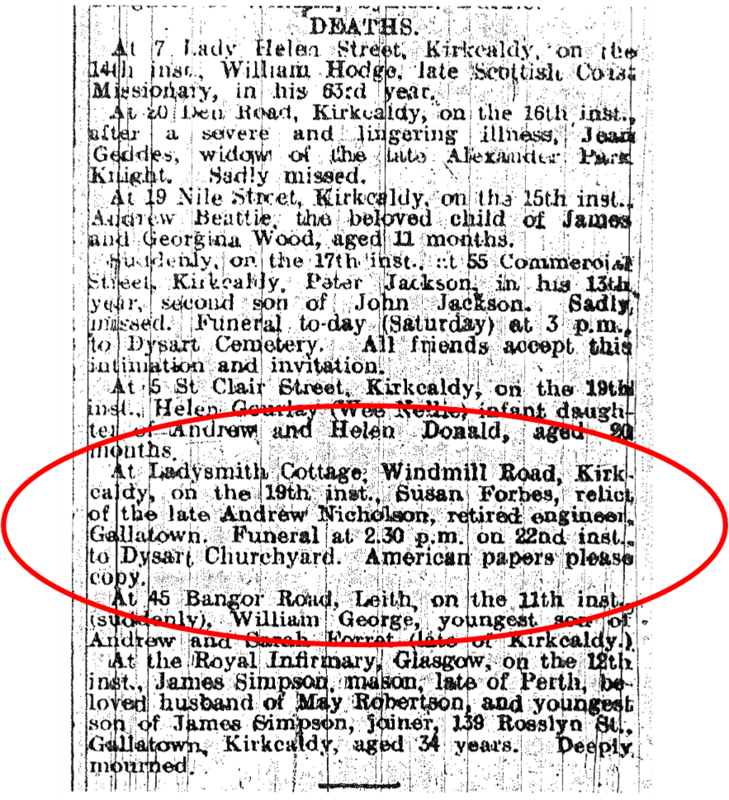 It began with the realisation that my great grandfather, Thomas Elder shared a birthday with one of my brothers, and morphed into a bit of musing about how long my ancestors had lived in Dysart, Fife. Last weekend I traced the Elder line back to the end of the 18th century – and the family of Isobel Dryburgh, my 5x great grandmother who married one of many Thomas Elders – back to the beginning of that century. Today my copy of the Fife Family History Journal arrived and, flicking through it I found the text above. It confirms a lot of what I’ve discovered about the Elders, but also gives me some new information. First of all, it seems that the Thomas Elder who was my 4x great grandfather served in the Fife Militia during the Napoleonic Wars, and secondly it the article states that he was married in Edinburgh – despite both he and his wife being resdents of Wemyss Parish, and their marriage appearing in that OPR. 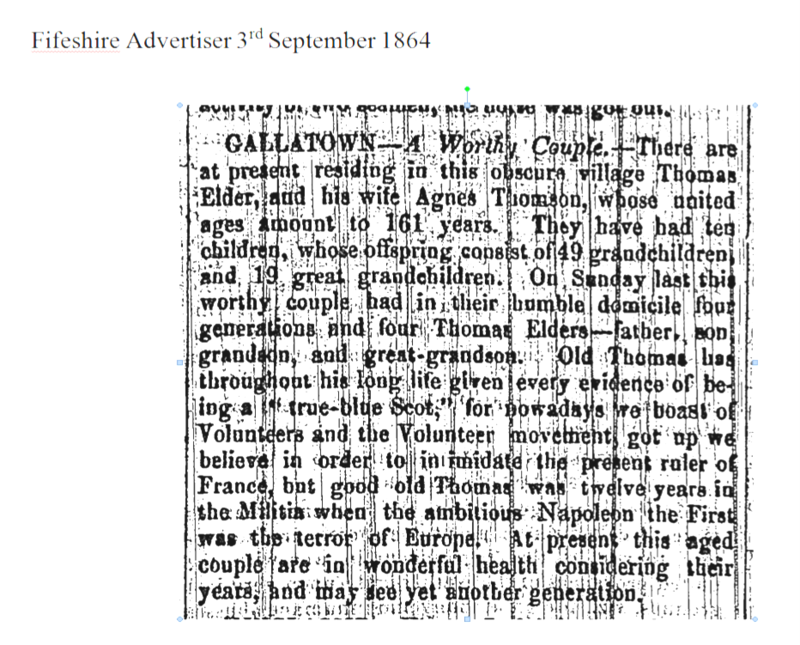 Finally, I know that the Fifeshire Advertiser carried a story about the couple in September 1864. So now I have some new avenues for my research; but it’s late, so maybe tomorrow. In the meantime I’ll just enjoy this random moment of delight. Random moments of delight is a blogging challenge hosted by Meghan at Firebonnet. You can find out more here.